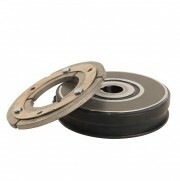 We offer a large range of brakes to suit Pneumatic and Hydraulic applications as well as Electromagnetic applications. These brakes are made by Tol-O-Matic in The U.S.A and Miki Pulley in Japan. 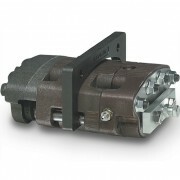 The pneumatic brake series provides up to 2000 in-lbs (226 Nm) of torque at a maximum pressure of 100 PSI. 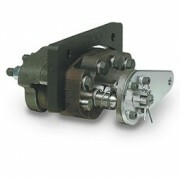 The pneumatic brake series offers single acting and double acting models. 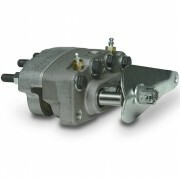 The hydraulic disc brake series provides up to 31,000 in-lbs (3503 Nm) of torque at a maximum pressure of 100 PSI (6.9 bar). 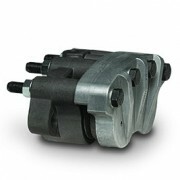 The hydraulic disc brake series offers single acting and double acting models. The ME220 mechanical disc brake series provides up to 31,100 in-lbs (3503 Nm) of torque at a maximum pressure of 100 PSI (6.9 bar). ME220 mechanical disc brakes are single acting and available in fixed mount and floating disc or floating mount with fixed disc models. The spring applied disc brake series provides up to 13,750 in-lbs (1554 Nm) of static torque (based on linings with no wear). 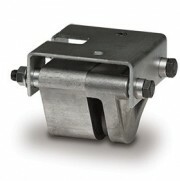 Spring applied disc brakes are single acting with floating mount and fixed disc. The hydraulic and mechanical brakes are available in single acting models with float pin holes that can accommodate up to 1/2 inch (12.7 mm) thick discs.